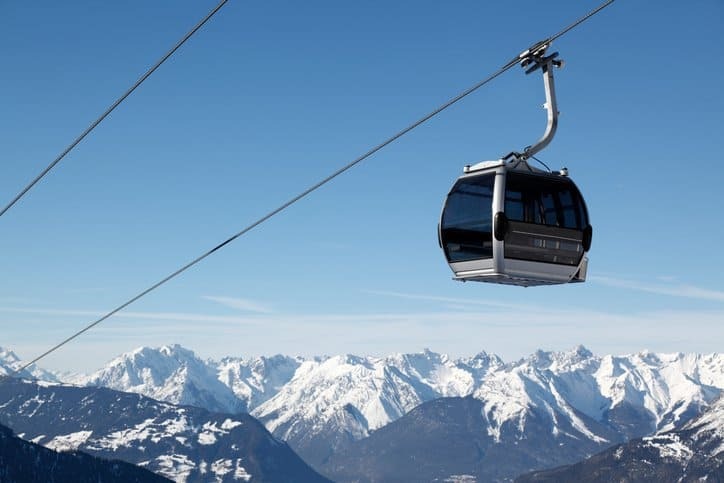 In a past post, we discussed ANSI B77.1-2017: Passenger Ropeways – Aerial Tramways, Aerial Lifts, Surface Lifts, Tows and Conveyors – Safety Standard, and referred to it as the standard for ski chair lift safety. While this bears truth, since it was developed by the National Ski Areas Association, it does not fully describe the scope of the standard. ANSI B77.1-2017 covers the design, manufacture, construction, operation, and maintenance of all passenger ropeways for both skiers and foot passengers. Passenger ropeways are found all throughout the world as a means of transportation. Traditionally used as a way to travel throughout mountainous areas or other landscapes that are mostly inaccessible to cars, they have lately been gaining popularity in urban areas. The primary aerial lifts that are used to transport foot passengers are aerial tramways (or cable cars), which are held by two stationary ropes and propelled by a single moving rope, and gondolas (sometimes also called cable cars), which are supported and driven by cables above the cars. ANSI B77.1-2017 covers both aerial tramways and gondola lifts. The specifications covered in the document help create and operate efficient and safe passenger ropeways, focusing on construction and maintenance of the cables, horizontal and vertical clearances, speed, and other features that are controlled through thorough testing and validation. It is also important to note that the standard gives different weight capacities for skiers and foot passengers to account for the weight variation from winter sport equipment. ANSI B77.1-2017 also considers a variety of features and weather patterns, such as electric power lines, rockslides, avalanches, icing, rivers, highways, structures, and fire hazards. This is important for passenger ropeways because they are often installed in treacherous areas. 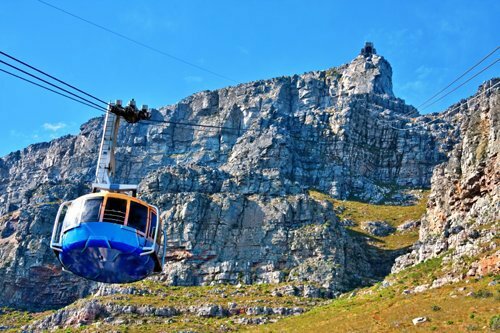 For example, the Table Mountain Aerial Cableway in South Africa needs to consider rockslides, wind, and obstructions. The guidelines in the standard are also applicable to passenger ropeways in urban environments. These have become increasingly popular because of their many distinct advantages over other means of transportation. Specifically, they do not need much space: they can cross over obstacles (such as an entire urban landscape) and their towers and structures require little real estate on the ground. They also are known for consistent travel times due to their avoidance of other transportation lines. Passenger ropeways are a surprisingly desirable alternative for cities that need new ways to manage their traffic flow. 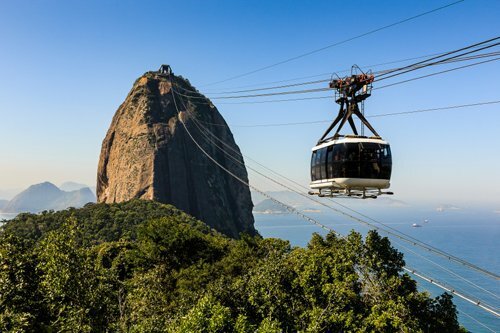 For urban areas that currently lack aerial ropeways, installing them isn’t too difficult, as they have notable low costs and short construction times, and, since they use one engine to drive several vehicles, they are very energy efficient. For example, The East River Skyway is a proposed plan to connect the Manhattan and Brooklyn boroughs of New York City via gondolas to accommodate the rapidly growing traffic coming from the populating Brooklyn neighborhoods. Interestingly, this is a cheap alternative, as the gondola line could cost $397 million less to install per mile than additional subway lines. Passenger ropeways by definition do not have to be aerial lifts. Funiculars, or cable railway systems that transverse steep planes, also fall under this umbrella term and are important for travel in certain areas. Funiculars are specified in ANSI B77.2-2014 – Funiculars – Safety Requirements. ANSI B77.1-2017: Passenger Ropeways – Aerial Tramways, Aerial Lifts, Surface Lifts, Tows and Conveyors – Safety Standard is available on the ANSI Webstore.